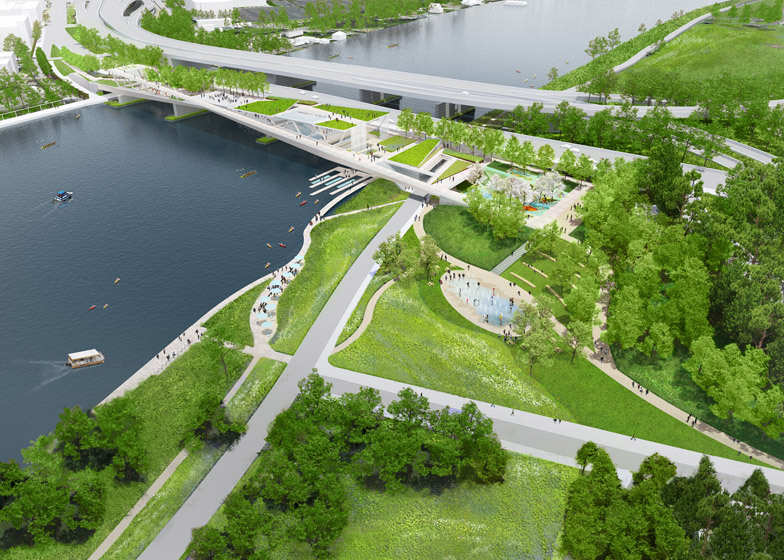 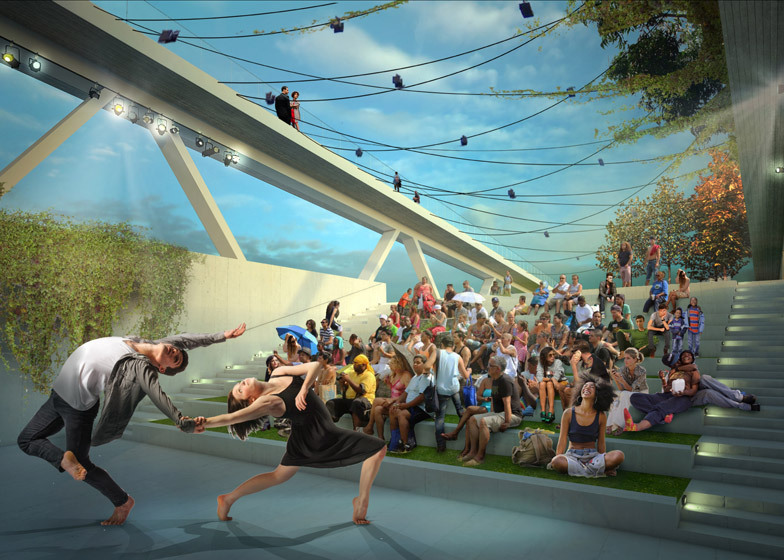 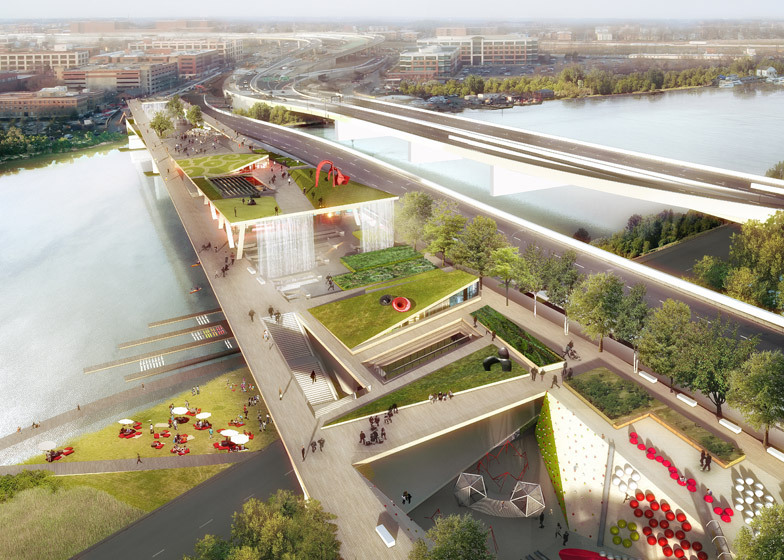 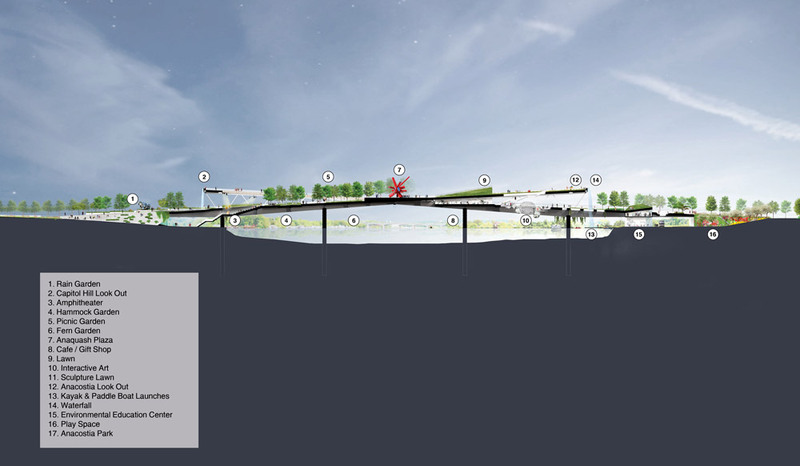 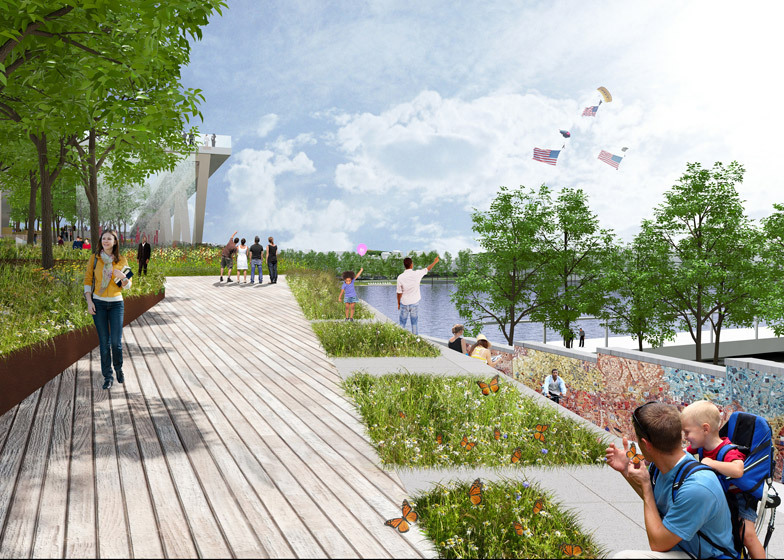 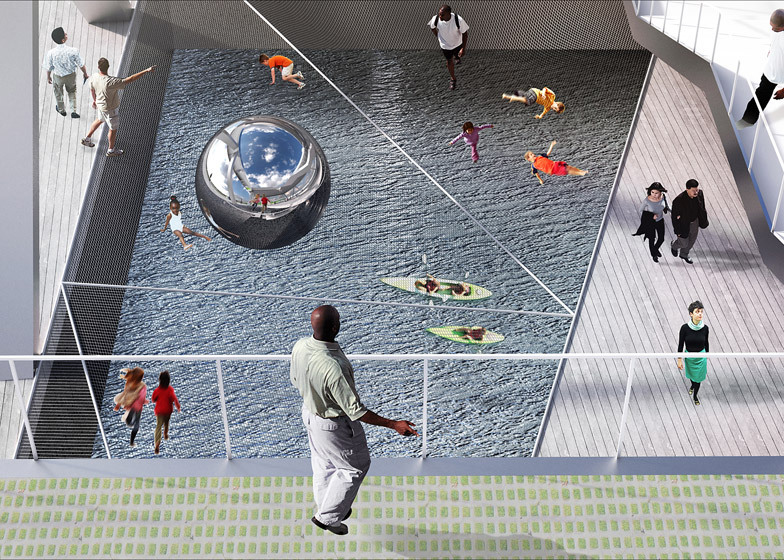 News: Rem Koolhaas' firm OMA has teamed up with American landscape architecture studio Olin to create the winning design for the 11th Street Bridge Park – a raised garden spanning Washington DC's Anacostia River (+ slideshow). 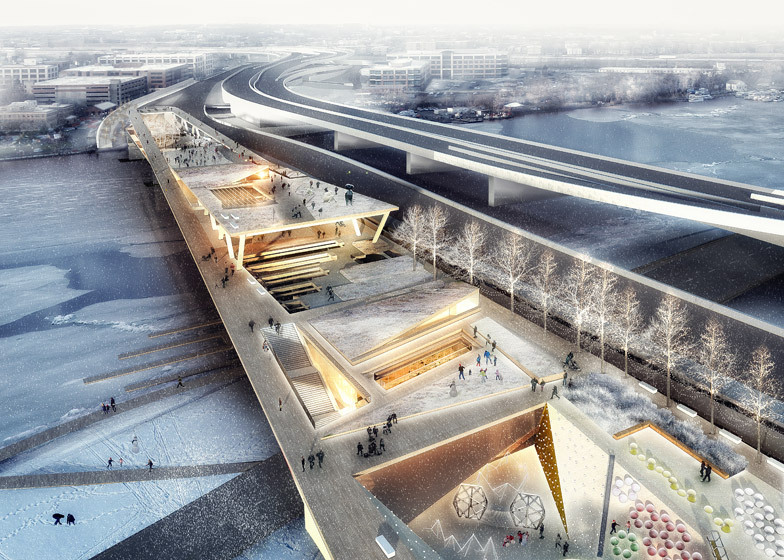 Netherlands-based OMA and Olin beat three other design teams to win a government-supported competition to design a bridge that could provide a new "civic space" for the USA's capital city. 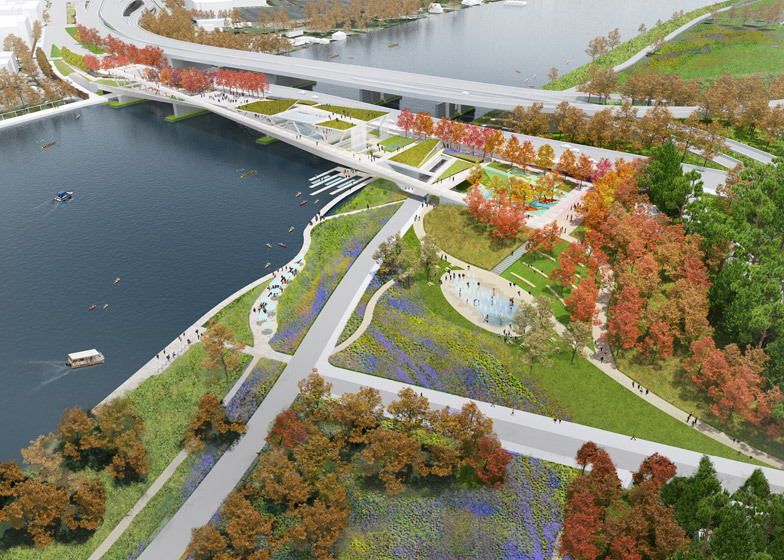 The project, currently expected to cost $35 million (£22 million), was proposed to find new uses for a series of piers that previously supported a major road crossing across the Anacostia River, which has been moved to a new location. 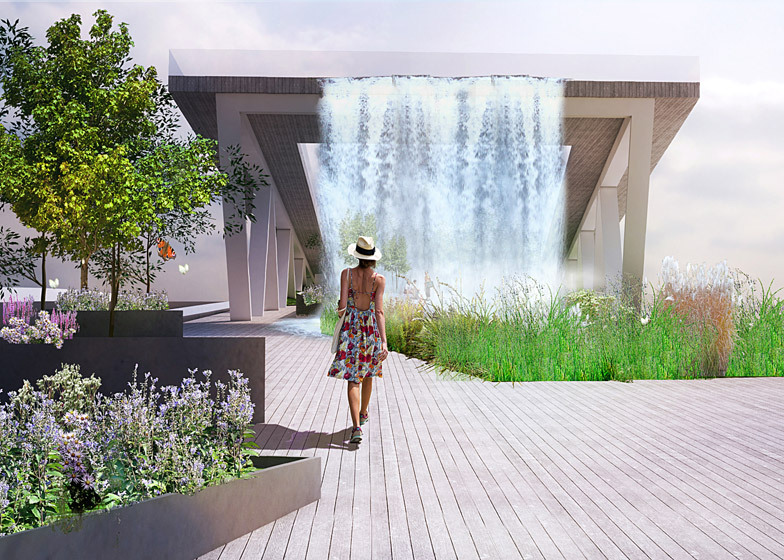 The new design is comparable to New York's popular High Line park and Thomas Heatherwick's garden bridge proposal for the River Thames in London. 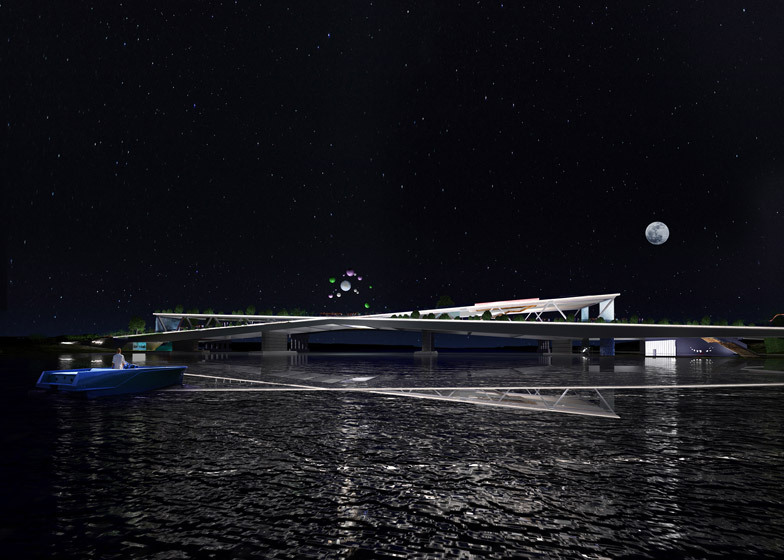 More than 40 teams entered the first stage of the competition after it was launched in January. 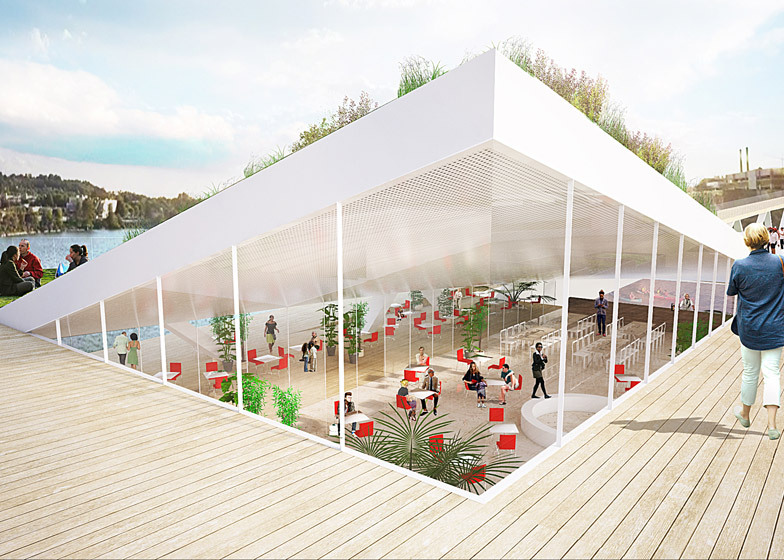 Four were chosen for the second stage, receiving $25,000 (£15,000) each to develop their proposals. 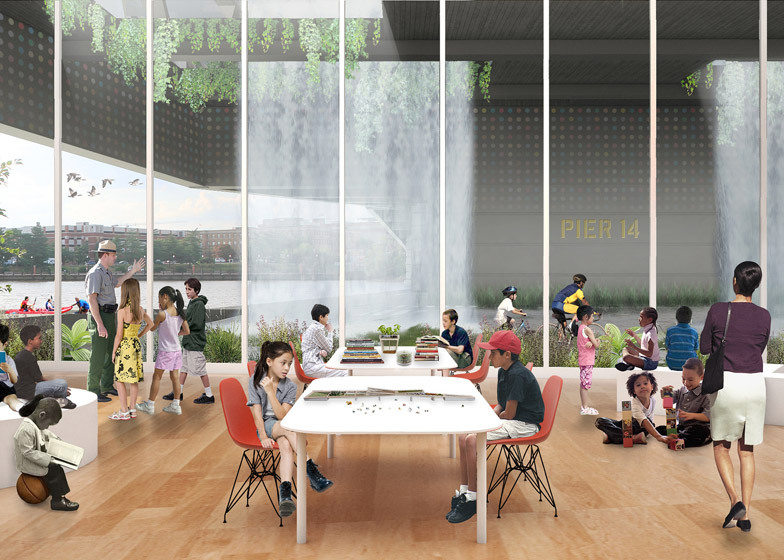 These consisted of OMA and Olin, Balmori Associates with Cooper, Robertson & Partners, Stoss Landscape Urbanism with Höweler + Yoon Architecture, and Wallace Roberts & Todd with NEXT Architects and Magnusson Klemencic Associates. 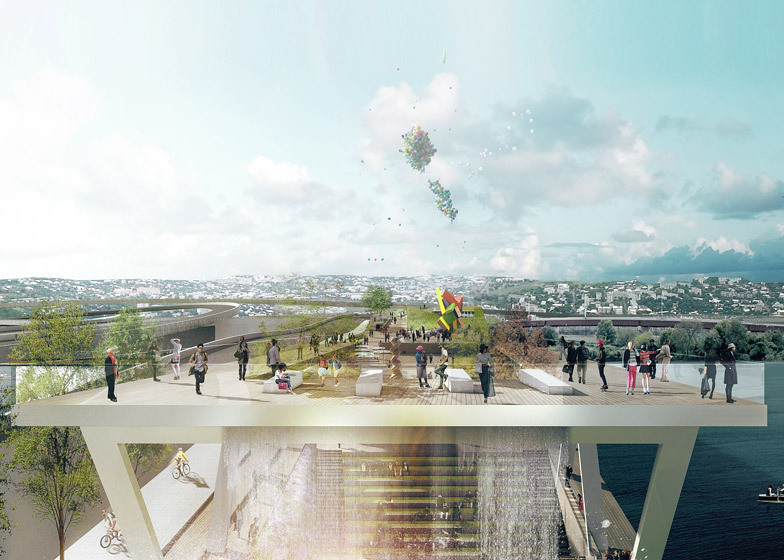 OMA and Olin's winning proposal suggested a structure that splits into two levels that meet in the centre to form a cross shape. 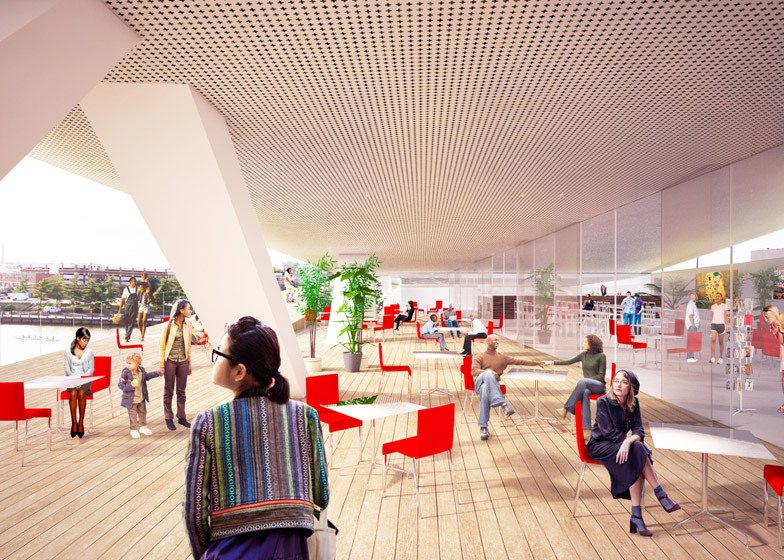 This creates space to create a number of enclosed facilities including a cafe and an environmental centre, while retaining large areas for gardens and plazas. 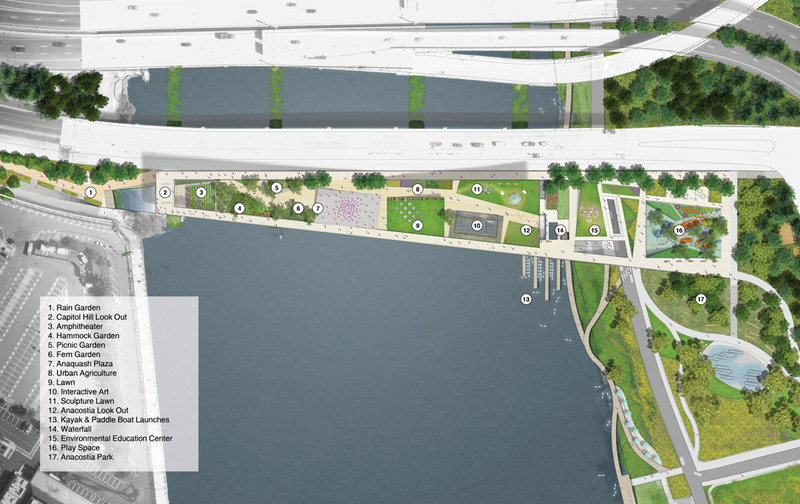 "Our design creates a literal intersection and a dynamic, multi-layered amenity for both sides of the river," said OMA partner-in-charge Jason Long. 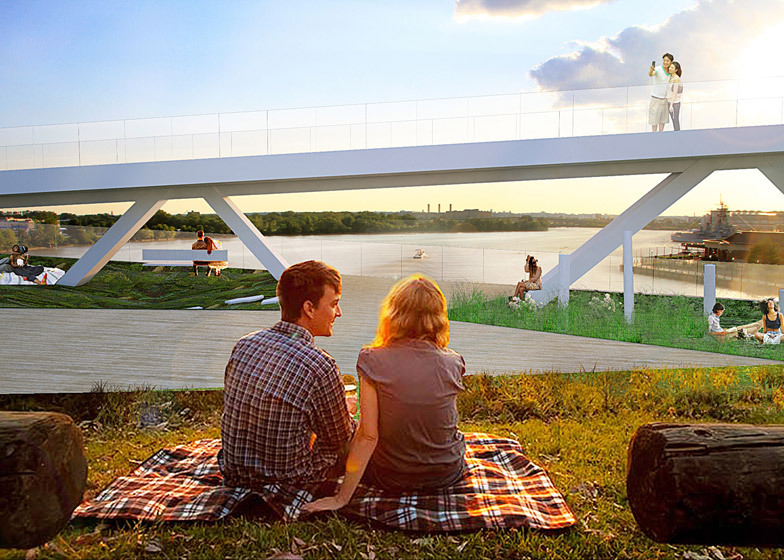 "It simultaneously functions as a gateway to both sides of the river, a lookout point with expansive views, a canopy that can shelter programs and a public plaza where the two paths meet. 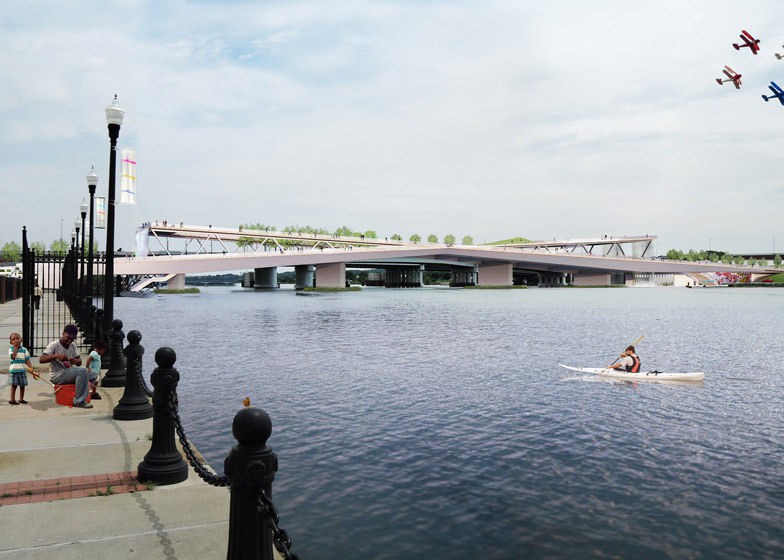 The resulting form of the bridge creates an iconic encounter, an 'X' instantly recognisable within the capital's tradition of civic spaces." 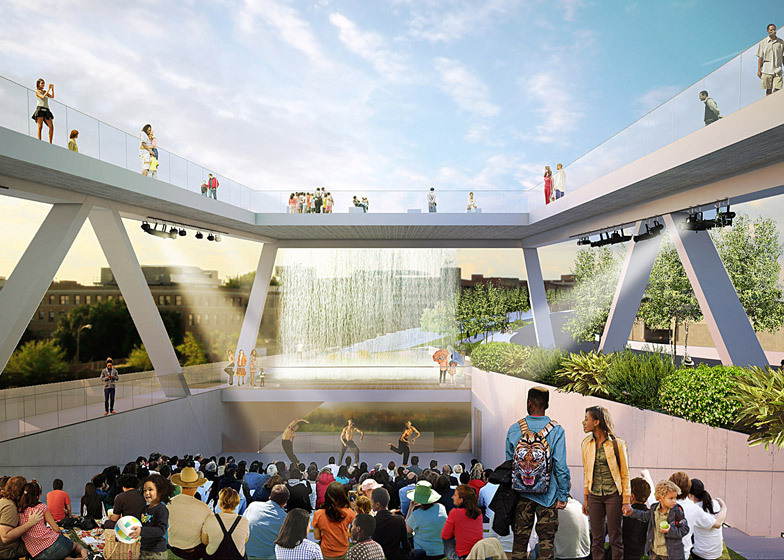 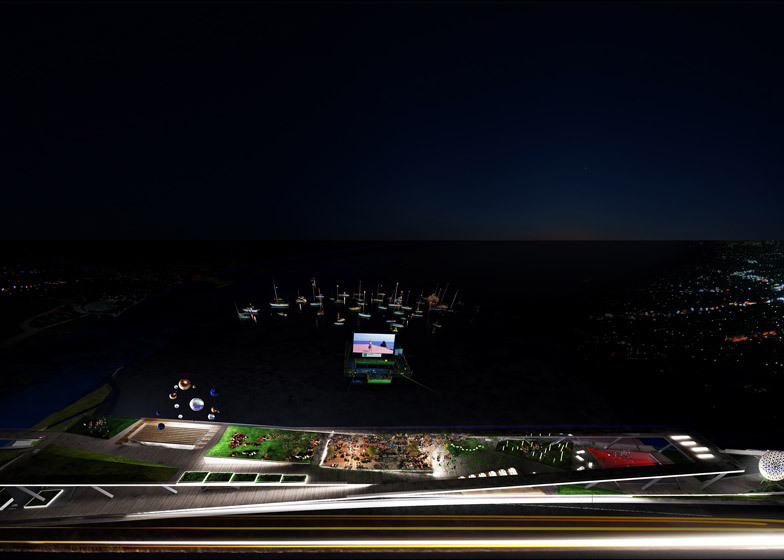 Competition juror Harry G Robinson, professor of Urban Design and dean emeritus at the city's Howard University, said the design would be "both a crossing and a place". 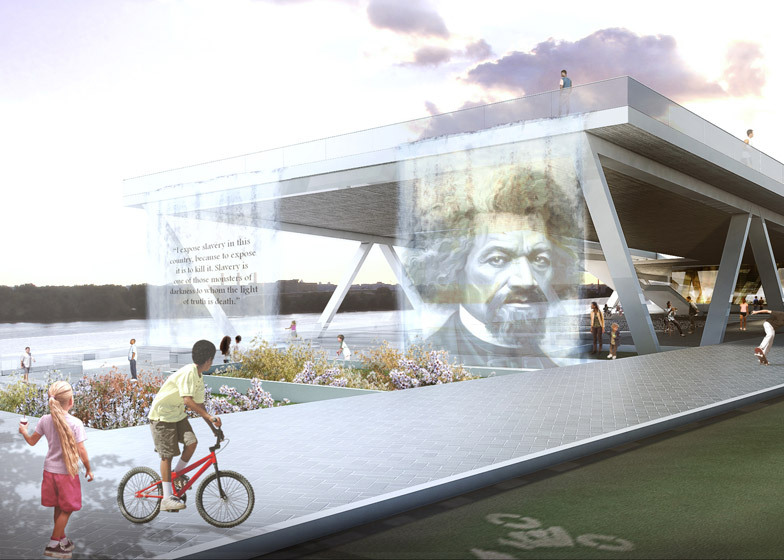 "In its purest role it is a hyphen that connects and celebrates the physical and cultural histories of two historic and vibrant Anacostia shoreline communities, while establishing a civic expression of democracy," he said.